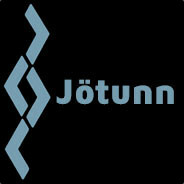 I'm Jötunn (pronounced like "yo-ton"), and welcome to my profile. I am a guy who likes to game, possibly a bit too much. Former compettitive player in multiple games and (what were then) informal leagues and small organized tournaments. Been gaming since age 3 in the year 2000, started on the classics (thanks to friends): DOOM, Quake, Half-Life, CS 1.0, Deus Ex. Found a niche as a sniper. Sniped competitively, then grew tired of it. Now I go pubbing and haven't really thought about returning to the comp scene.